One of the seven natural wonders of the world, no National Park is quite as spectacular as the Grand Canyon. Attractions fill the park, but be sure not to miss the many monuments and other natural wonders that surround the area as well. 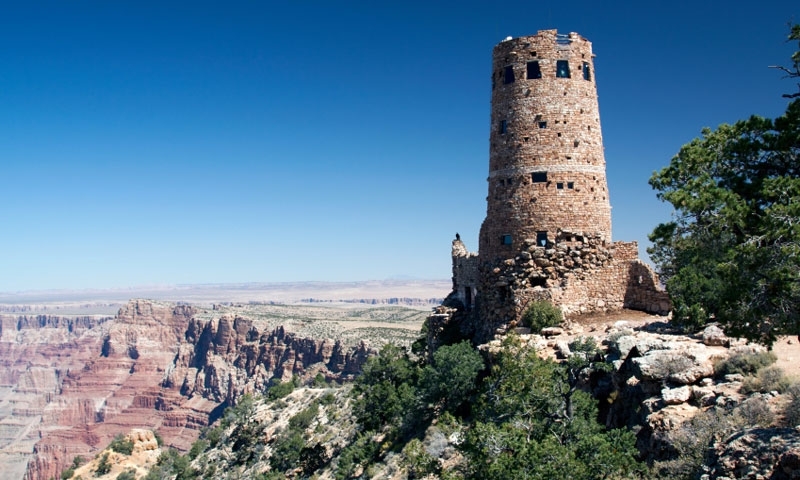 Three geographically separated areas, the South Rim, the North Rim and the inner canyon, offer different attractions. The South Rim is the popular rim of the park, offering lodging, camping, hiking trails, and museums. The North Rim is the quiet side of the park but still offers great hiking trails and places to stay. The inner canyon is only visited by whitewater rafters and hikers. Explore the nearby Pipe Spring National Monument or the wilderness within the Kaibab National Forest. There are many great scenic drives around the Grand Canyon. Make the Grand Circle Drive and within the park, explore Desert View, Hermit Road, and Cape Royal Road. Grand Canyon Explorer offers information on activities and attractions for the visitor to Grand Canyon. The Old Trails Museum displays some of Winslow Arizona's many historic artifacts.